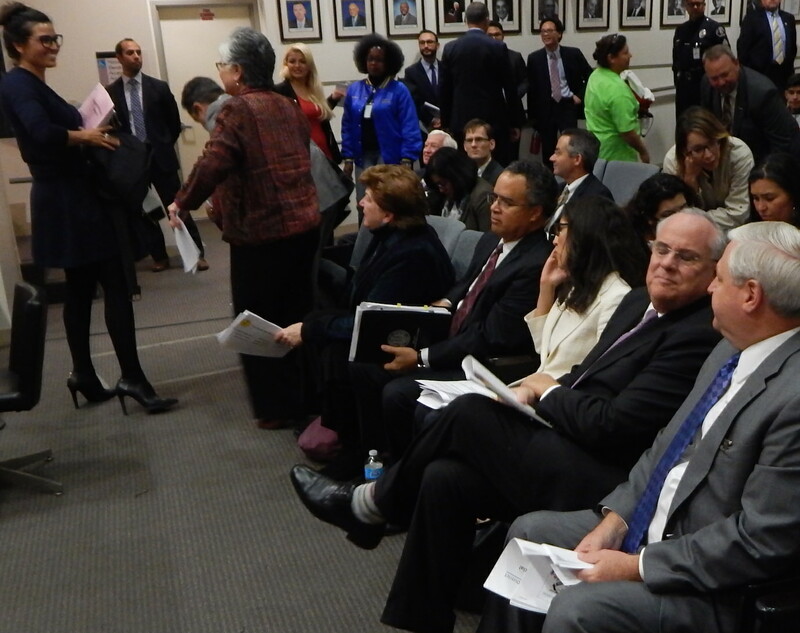 An independent Financial Review Panel yesterday detailed drastic measures that LA Unified must take to remain afloat in what school board President Steve Zimmer calls a “perfect storm” of financial trouble for the district. “There’s a fiscal cliff that is immediate if different decisions are not made,” warned Bill Lockyer, the former California attorney general and state treasurer and one of the all-volunteer panel that made the group’s presentation to a full house in the school board meeting on Tuesday. But the drama of the exchange was not so much the bad news the panel members were delivering, including strong recommendations to make across-the-board spending cuts — the board members were well aware it was coming. Rather, it was the board’s apparent sense of urgency to deal with it and the district’s labor partners utter silence when offered the opportunity to comment. Ref Rodriguez reiterated the point, saying some “hard conversations” await. “We’ve been putting this off too long,” he said. Zimmer identified three factors pushing the district toward the financial abyss: the federal government’s reneging on promises of more money for special education students, creating a $200 million shortfall for the district; the state’s “extremely low” per-pupil funding level and the district’s steady decline in enrollment. After Zimmer invited the district’s labor leaders to address the board with any comment, only Alex Caputo-Pearl, president of the teachers union, UTLA, stepped forward. But instead of acknowledging anything the financial panel members discussed, he invited forward a group of parents to bemoan the Broad Foundation‘s proposed charter school expansion plan. His rationale was charter schools draw students away from traditional schools, costing programs, money and jobs. Later, outside the meeting room, Caputo-Pearl said any changes in staffing would have to be negotiated with his union and the others that serve LA Unified. Among the financial panel’s suggestions to reduce the financial burdens are offering early retirement for those at the top of the pay grade, which would save a projected $400 million, and changing health care benefits, asking employees to foot part of the bill, a potential savings of $57 million. Absenteeism among the teachers could save $15 million a year alone, the report said. Lockyear provided the ultimate warning for what lies ahead for the board and the new superintendent it expects to have in place by the first of the new year.